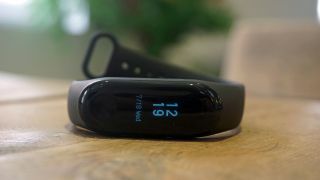 Xiaomi's wearables may not offer all of the top-end tracking tech you'd find in the Fitbit Charge 3 or a Samsung Gear Fit 2 Pro, but its Mi Band 3 fitness tracker is a remarkably good product for the price. That's why there's always excitement around what Xiaomi is doing in the health band market. The company managed to pack a lot of tech into its previous three devices, and we're excited to hear about what Xiaomi will do for the next one. In fact, the company has already confirmed there will be a Xiaomi Mi Band 4. David Cui, Chief Financial Officer at Huami (a brand owned by Xiaomi) has confirmed the company is working on a follow-up to the Mi Band 3, and that we're set to see it later this year. Below you'll find all of the details we know so far, and as those are currently lacking we've also put together a list of features we'd like to see Xiaomi include in the device. First off, the good news is we know the Xiaomi Mi Band 4 is happening. In mid-March 2019, David Cui, Chief Financial Officer at Huami, said "For Mi Band 4, it's going to be in this year. It will be in 2019. But I'm not sure, it's going to be in March and April. It is going to be in this year." So we don't know exactly when the Xiaomi Mi Band 4 will launch, but Cui's words make it sound like the launch isn't imminent, so we're currently expecting the Mi Band 4 to land in the second half of the year. As for price, we don't currently know. You can expect this to be cheaper than a lot of other fitness trackers though as the company priced its previous Mi Bands low. For example, the Mi Band 3 started at $30 / £25 / AU$35. So far, we've yet to see much proper news about the Xiaomi Mi Band 4 other than the confirmation of its existence. However, in the same announcement it was suggested that new features would be coming to the tracker. We've also seen a Bluetooth certification listing for the device, listing two models, both of which support Bluetooth 5 and one of which also supports NFC. It's worth noting that a Chinese version of the Mi Band 3 also supported NFC for contactless payments, so this isn't a new feature as such, and may not be widely available. That's all the news for now from leaks and rumors, but we can also take an educated guess at some things. For example, looking back at previous Xiaomi fitness trackers, we can be pretty certain the company will include a heart rate monitor and an OLED display on the Xiaomi Mi Band 4. It's also likely to be water resistant up to 50 meters - although the company may push that even further with its next tracker - and we expect to see strong battery life as the Mi Band 3 could run for 20 days from a single charge. Xiaomi may also incredible brand new features such as an ECG monitor (that's currently available on the Apple Watch 4) but that sort of thing would likely drive the price up so we expect Xiaomi will stick to the basics here. Be sure to check back in the coming weeks and months for more details about the Xiaomi Mi Band 4 as we learn more. As we don't yet know much about the Xiaomi Mi Band 4, we've put together this list of things we'd like to see the company improve for its next generation tracker. Back in our review of the Xiaomi Mi Band 2, we had a few reservations about the accuracy of the fitness tracking tech on board. The tracking wasn't awful, but there were a few situations where it didn't keep up with some of the competition. The same went for the Xiaomi Mi Band 3, although we did feel Xiaomi had made some improvements in this regard. Every company can always improve at this though, and we'd like to see Xiaomi put a real focus on improving its fitness tracking credentials for the Mi Band 4. Even if you love the previous Mi Band products, it's hard to call any of them a gorgeous piece of wristwear. For that reason we'd like to see Xiaomi improve the design for the next generation with a slimmer build and more rounded edges. Design taste is always going to be different for everyone, but if the company can slim the Band 4 down a little it should make everyone a little bit happier to wear it. The Mi Band 3 is a cheap fitness tracker, and the same goes for the other two trackers Xiaomi has made. We want the company to stick to that low price for the Mi Band 4. That said, if it improves the technology a touch we wouldn't be against the price increasing by a small margin. At the sort of prices Xiaomi sells its wearables for, you're never likely to see the company include proper GPS tracking inside them, but it could have a real winner on its hands if it did. Failing that, we're asking Xiaomi to include connected GPS features on the next gen tracker, so we can always just use our phone to keep an eye on our location and let the band handle everything else. This one is simple. You can only buy the Xiaomi Mi Band 3 in three colors, and the Mi Band 2 came in four colors. Rather than the company opting for fewer on its next-gen tracker, we'd like to see more. For the Mi Band 3 the options are black, blue and orange, so we'd like to see a bit of added variety, but we're happy for the company to choose whatever it sees fit.